Mohan Murjani, chairman of Murjani International, saw something special in Tommy Hilfiger the moment he walked in the door. 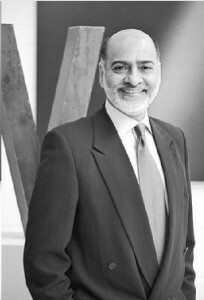 The Indian entrepreneur, credited with launching Hilfiger into the fashion consciousness, was Hilfiger’s original financial backer. In 1984, when Murjani was running the Gloria Vanderbilt women’s business, he wanted to get into the men’s segment. He toyed with doing a Vanderbilt line for men, but then decided to seek a different label for that market. During their interview, they discussed many personal things, including the fact that Hilfiger had visited India numerous times, and had done manufacturing there. “I felt a very close sense of affinity. We hit it off immediately. I didn’t even look at his portfolio and what his capabilities were,” Murjani said. He said Joel Horowitz, who was heading up new business at Murjani, already had briefed him on Hilfiger’s background — that he had gone into retail (People’s Place), run into financial difficulties and since had been designing for different companies. “Right there and then, I made a decision. I told him we’d like to move forward. He was actually floored,” Murjani said. At the time, Hilfiger had just accepted a design job at Calvin Klein, but hadn’t started there yet. 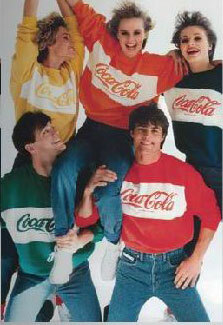 Murjani also was manufacturing Coca-Cola Clothes at the time, and Hilfiger volunteered to design them. “He did it because he wanted to do it. That’s the way Tommy is,” said Murjani. Marketing became a key component right off the bat. Their first gutsy ad campaign catapulted Hilfiger into the big leagues, without him having produced a stitch of clothing. According to Murjani, he spoke to a few ad agencies, and at the time, adman George Lois was working on Coca-Cola Clothes. “I told George what we wanted to do [and] that I needed people to know Tommy Hilfiger tomorrow — I wasn’t looking for a drawn-out program. I didn’t want lifestyle images. George came up with a few proposals,” one of which was the brash Hangman ad comparing Hilfiger to three leading men’s wear designers — Perry Ellis, Calvin Klein and Ralph Lauren — only using their initials. “I said, ‘That’s absolutely it!’ Tommy said, ‘No, Mohan. We can’t do that.’ He had so much respect for them, and looked up to them. I told him we weren’t doing anything disrespectful or denigrating to their names. The clothes also became a hit, with the company’s first account being Bloomingdale’s. “The focus was initially New York City. We [wanted to] get the brand up and running. Once it was established in New York City with marketing and merchandising, we could move out from New York. Then word would spread and everybody would talk about it, and other branches would want it,” said Murjani. He said the brand sold more than $30 million at wholesale in the first three years. “In those days, $30 million was a big business. We went through financial difficulties with Cola-Cola and needed to cash out, and had to liquidate. It’s not something I wanted to do,” he admitted. Murjani said he had known Silas Chou, as had Hilfiger. Murjani, who sold the business in 1988, said he retained a small share in the new company. In the early Nineties, he took some of that equity and bought the perpetual all-encompassing rights for Tommy Hilfiger in India, a shrewd move at the time. Murjani launched the Hilfiger brand in India in 2004, and today Hilfiger has more than 1,000 points of sale in the country. “Tommy is the number-one designer brand in the country,” said Murjani. “The deal covers any and all product categories,” ranging from women’s and men’s apparel to home and accessories. “We can do things that don’t even exist anywhere else,” said Murjani, such as pens and mobile phones, under the Hilfiger name. Most stores in India are about 500 to 600 square feet, but the Hilfiger stores are 3,000 square feet. The brand got a huge boost in India when the film “Kuch Kuch Hota Hai” hit the screen in the late Nineties, and the stars, including actor Shahrukh Kahn, were dressed exclusively in Tommy Hilfiger. “He put it on the map, and Kahn was an icon for young people,” said Murjani. He noted India has the youngest population in the world. Sixty-five percent is below the age of 35, and more than 50 percent is younger than 21 — “an almost endless stream of potential customers for Tommy Hilfiger for decades to come,” said Murjani. Does Murjani regret having to sell out of the company before it hit the big time?